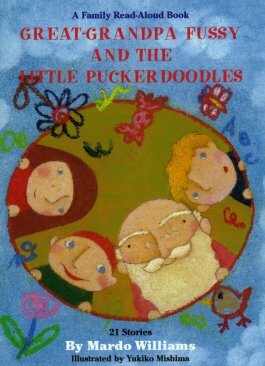 They're noisy, nosey and bossy, these little Puckerdoodles (newborn to age 6) who have ensnared the heart of Great-Grandpa Fussy. Mardo Williams' charming stories, based on the adventures of his great-grandchildren, and Yukiko Mishima's whimsical illustrations make this a gift book for both adults and children to treasure. Contact the publisher about special discounts of MAUDE.